Line a baking tray with non-stick baking paper. 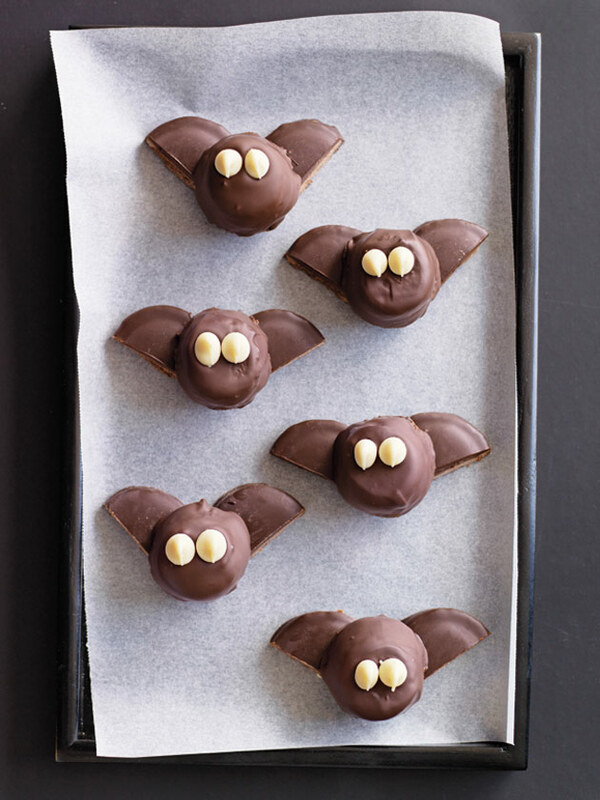 Dip the marshmallows into the melted chocolate and place each marshmallow onto 2 halves of the chocolate biscuits, positioned on the tray, to create the bats’ bodies. Place 2 white chocolate chips on each bat to make the eyes. Refrigerate until set. Makes 20.